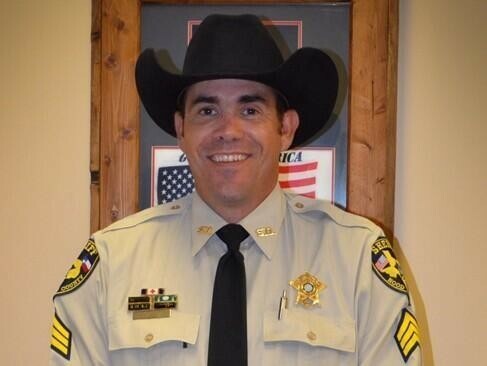 Sergeant Lance McLean succumbed to a gunshot sustained the previous day while responding to a disturbance call in the Oak Trail Shores community near Lake Granbury. A subject who was awaiting trial for sexually assaulting a juvenile female had shown up at the girl's home. The subject was known to officers because of a previous criminal trespass warning at the location. Sergeant McLean was the first officer to arrive at the location. The man opened fire on him, striking him in the head. The man then fled in a van and proceeded to the Granbury City Hall. As other deputies and officers attempted to stop him he walked towards them and opened fired with a semi-automatic rifle, wounding one Granbury officer before being shot and killed. Sergeant McLean was flown to a local hospital where he succumbed to his injuries the following morning. Sergeant McLean served with the Hood County Sheriff's Office for five years and four years with the Hamilton County Sheriff's Office. He is survived by his wife, two special-needs children, mother, brother, and grandfather.